With the strong support of our qualified technical experts, we are able to manufacture a wide assortment of HDPE Earth Pit Cover. This cover is precisely manufactured under the proper direction of our qualified professionals with the aid of advanced techniques by making use of superior quality metal alloys. As the name implies, offered cover is extensively used for seal and cover earthling pits. 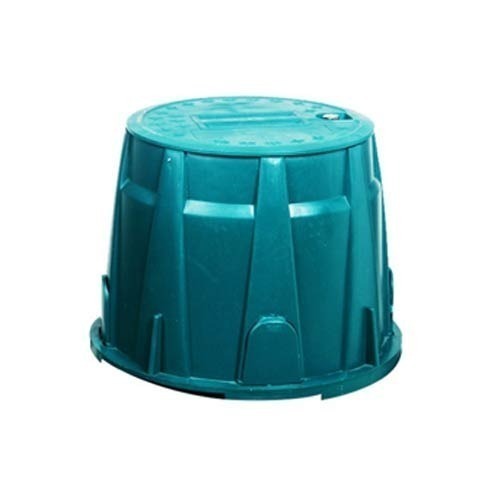 Besides, this Earthing Pit Cover can be availed from us in different sizes to meet the exact needs of the clients. Allied Power Solutions (APS), an ISO 9001:20015 certified & UL listed LPS installer company was established in 2005 with a mission and vision to the safety concern of electrical systems in various sectors like Defence, Telecommunication, Factories/Industries, Mines, Railways, Power, Real Estate sectors etc. With the aim to reach to the vast numbers of clients/consultants, it started its journey from the national capital – New Delhi as its head office and subsequently broadens its wings to the rest part of the country under the guidance of well qualified and experienced top management. To grow its business it kept its strong foothold in the cyber city of India (southern part of the country), i.e. Bangalore in the form of its corporate branch office and expanded a vast pool of dealer network throughout the country. Being in this line of Earthing / Grounding solutions, Lightning protection and surge protection solution for the last 12 years, we have achieved a rare feet of one of the first Indian Company to be certified as “UL (USA) certified LPS (Lightning Protection System) Installer”. LPS includes lightning protection, surge protection and grounding solutions. This is a result of our passion for the subject and thirst for the customer satisfaction. Today APS boasts of its quality product offering as well as servicing to its valuable clients.